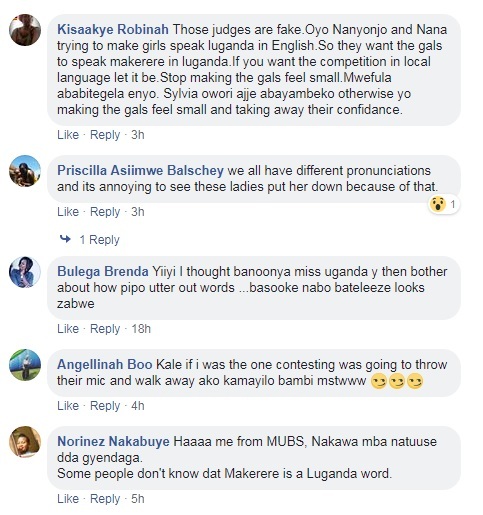 The nation’s most trying-to-be-relevant organizers of a beauty pageant are stuck between a rock and a hard place yet again. 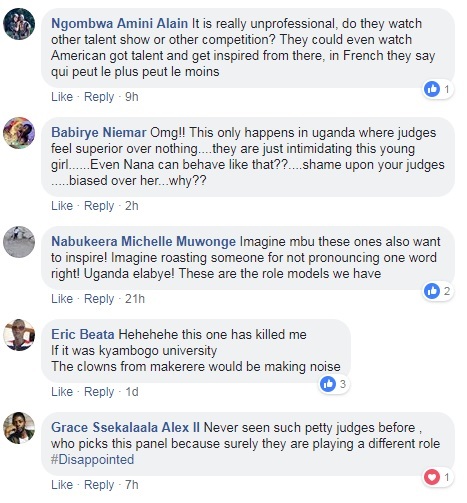 Miss Uganda Foundation is in hot soup because of a now-viral video making rounds on the Campus Bee Facebook page. 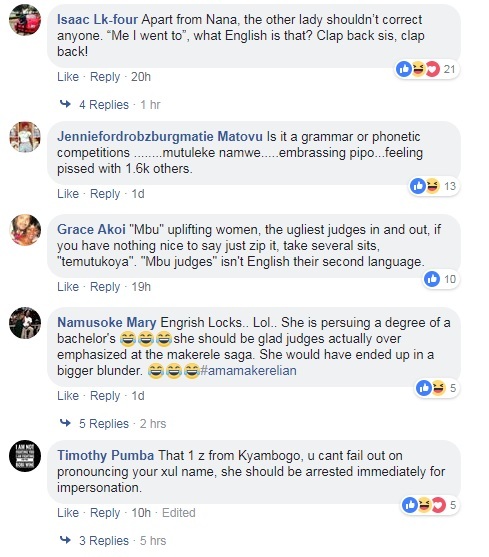 It evidently shows a representative of the foundation, Nana Kagga bullying a helpless contestant and student of Makerere University, a one Namutebi Jane because of her accent. 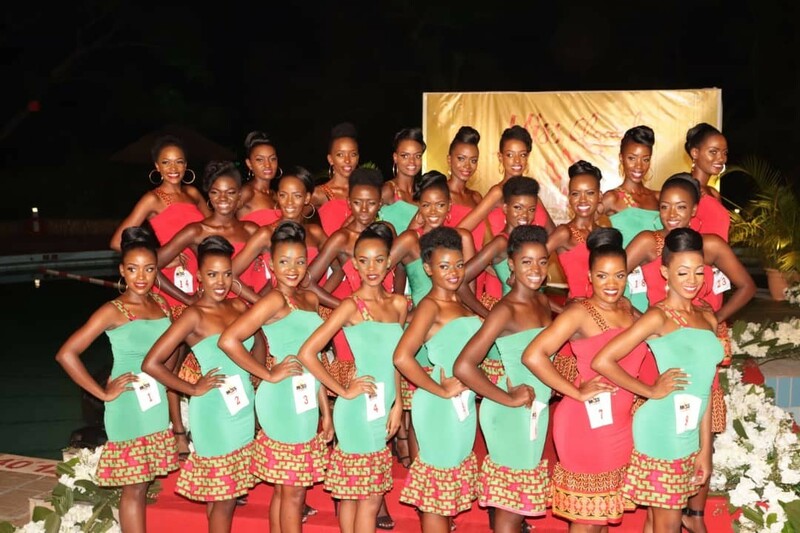 This is contrary to one of their objectives of instilling confidence and building esteem among the contestants. 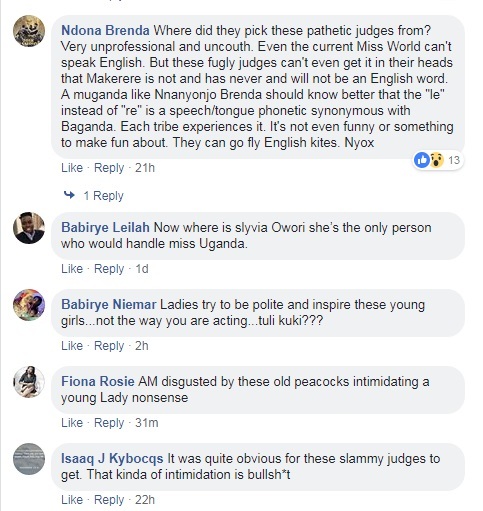 This didn’t go unnoticed by the already angry population (refer to OTT) and sparked huge debate and backlash, as some even demanded the immediate resignation of the people involved. 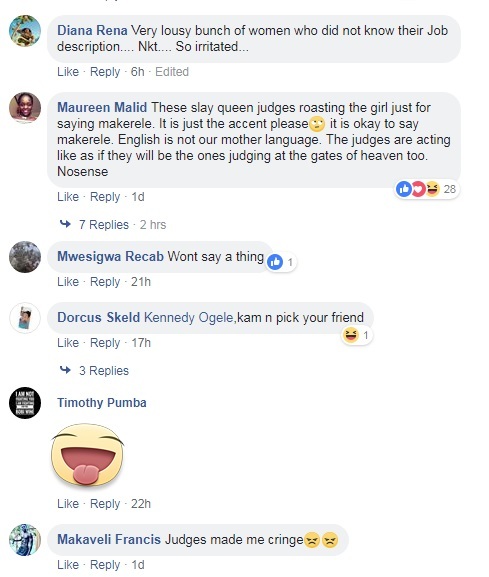 Below are some of the responses received on the video.